Paul Cleves. 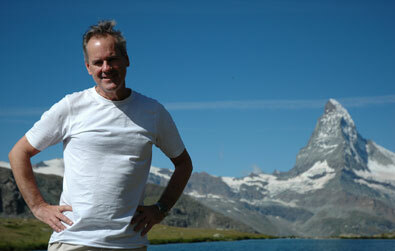 I first visited Zermatt in 1977 as an undergraduate glaciologist and have returned regularly ever since. During this time I have got to know the area well and, having visited (and lived in) many other parts of the world, I now understand what a truly special place Zermatt is. Over the years I have introduced many people to the delights of walking in the mountains and forests above Zermatt. I spend as much of my year as I can in Switzerland. I know the country well and Zermatt and its surrounding mountains, paths and glaciers intimately. I find walking in Zermatt one of the most exhilarating experiences in life with some sheer drops and stunning views. I always arrive full of anticipation and leave in top physical form, refreshed, relaxed and content. And I invite you to enjoy a similar physical and mental renewal from walking along the wonderful mountain paths around Zermatt. I run just a few tours each year and I tailor tours to your interests, strengths (weaknesses) and other requirements. Please email me and I will organise and lead what I promise will be a memorable holiday.